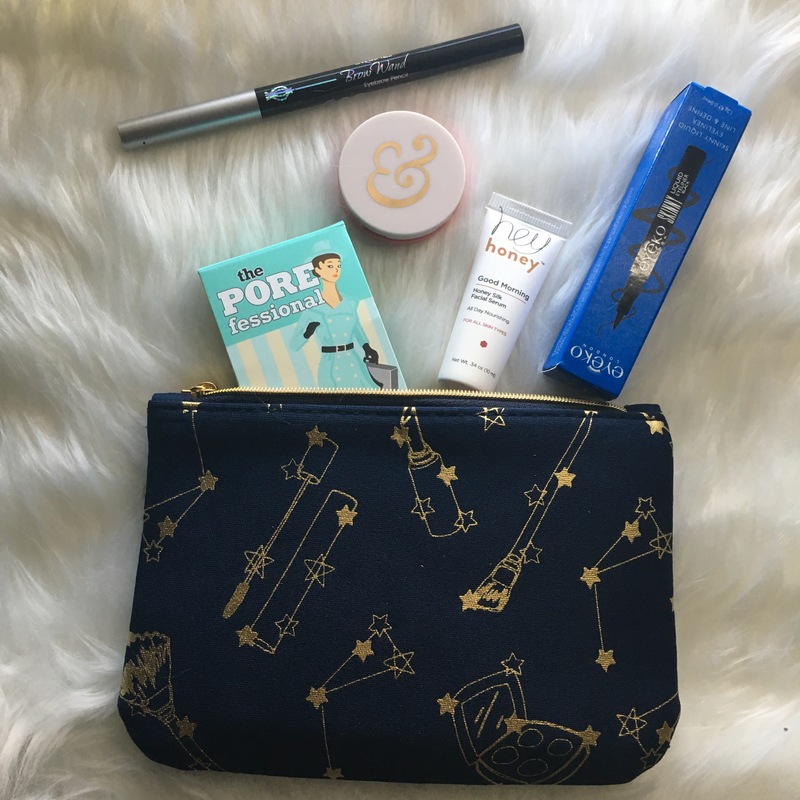 I recently subscribed to Ipsy and received my first glam bag for the month of November! Keep reading to see what’s inside and what I thought of each product! Benefit Porefessional pore minimizing primer- this product is a cult favorite and I have never heard someone say they don’t love this product because it is just amazing! Love this primer and I definitely recommend this if you want something lightweight that will help minimize the appearance of larger pores. Skone Brow Wand (full size)- this is pretty much a dupe for the Anastasia Brow Definer. It has the exact same shape and has a spoolie on one end just like the Brow Definer. The only difference is that this one is not as stiff as the Anastasia one. I do really like this brow pencil though! It is the right shade (not too warm toned but not too cool toned either) and it pigmented enough to give you control on how heavily you want to fill in your brows. Eyeko Skinny Liquid Eyeliner pen (black)- I love this eyeliner so much! It makes applying eyeliner so easy and quick! It is not as black as my Essence waterproof eyeliner pen, but I feel like the Eyeko one does not dry out as quickly. I think I will repurchase a full sized one when the sample runs out! Hey Honey Goid Morning Honey Silk facial serum- I have only used this serum once and I can’t really give much of a detailed review since skincare products usually take a few uses to know how well you will like the product. I did like the way it felt on my skin, but I haven’t noticed a difference in just one use. I’m pretty sure it’s just meant to be hydrating for all skin types and definitely feels nice. Laws & Co. B’Lighter in Peacher’s Daughter highlighting cream blush- this is the only product in the bag that I was not too thrilled with. I don’t really go for Cream blushes in the first place, and the “highlight” factor of the product is way WAY too glittery and just doesn’t look too flattering on the skin. I couldn’t believe how small the Benefit primer was!! But good nonetheless. Ahhh I wanted the primer!!! Love your blog 🙂 Follow for follow? !